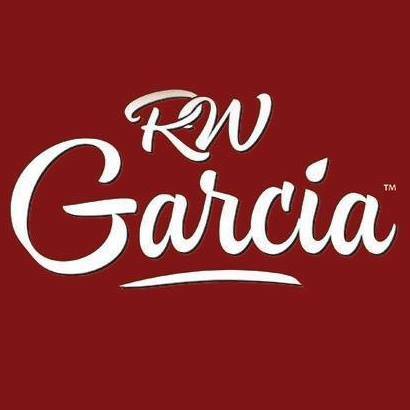 Founded in 1982 and based in San Jose, California, RW Garcia is a family owned and operated artisan maker of high quality organic and all natural corn-based snacks. RW Garcia is committed to sourcing the finest ingredients available, and all of its products are made from stone ground non-GMO corn, contain no additives or preservatives, are verified non-GMO and are certified gluten free. RW Garcia operates manufacturing facilities in San Jose and in North Carolina, and its unique products can be found throughout North America, as well as in Europe, Asia, and Australia. I got spoiled with snacks by RW Garcia, and I can't get enough of them! We got the MiztBags. Two delicious flavors in one bag. 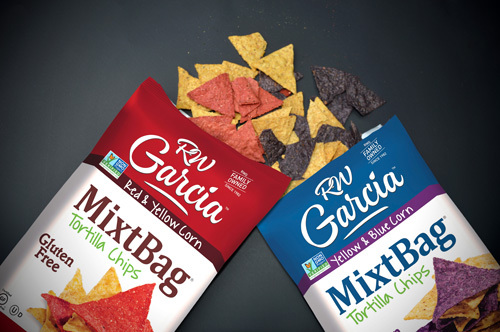 RW Garcia MixtBag combines two of their quality tortilla chip selections into one bag for a snack the whole family will love. Available in three varieties, Yellow/Blue corn tortilla chips, Yellow/Red corn tortilla chips, and new Veggie corn tortilla chips (there’s 3 different chips in this bag! ), the MixtBag offers a great snack that is completely wheat and gluten free, contains no Trans Fats and is made with all non-GMO ingredients. 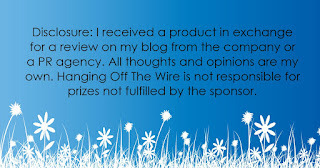 RW Garcia MixtBag tortilla chips are verified by the Non-GMO Project as meeting or exceeding GMO avoidance standards. I am in love! Bring something new to your table. The gluten free crackers are a delicious alternative to traditional crackers. 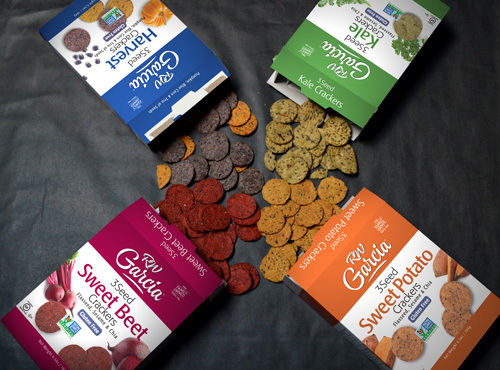 Available in six varieties, Sweet Potato, Sweet Beet, Kale, Harvest (a combination of Blue corn and & pumpkin crackers - OMG Yum!!! ), Sweet Pea, and Quinoa, they combine healthful ingredients you crave into a delicious, crunchy cracker. Snack with confidence knowing that these delicious crackers are made with all non-GMO ingredients and are trans fat and cholesterol free. RW Garcia Crackers are verified by the Non-GMO Project as meeting or exceeding GMO avoidance standards. Alone, with salsa, with dip, with cheese, these snacks are all around amazing!!! Check it all out at RW Garcia on Facebook, as well as RW Garcia on Twitter.